AUCKLAND (Pacific Media Watch / Pacific Scoop): Online bashing of Māori is on the rise, says a researcher at AUT University. Steve Elers, a former police investigator who is researching a doctorate in communication studies at AUT, stumbled across “offensive” online sites this month. 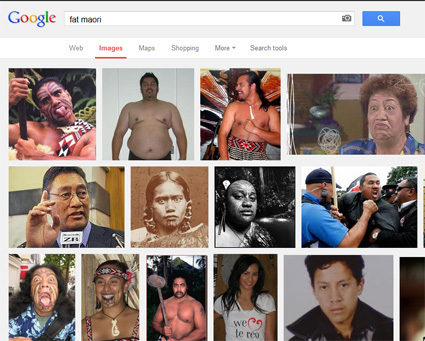 Elers says he was searching for information on Māori identity using internet search engine tools. There is a growing trend of online Māori bashing, he says. He is investigating Māori identity in the context of social media and the internet. “I hope this will prompt further discussion on racism in New Zealand that focuses on online content in terms of censorship or laws,” Elers says. He returned to New Zealand to live in 2012 after working for the Western Australian police for several years. Elers not only discovered negative content about Māori on social media and web forums but found hundreds of anonymous web postings on forums. He says the Domain Name Commissioner should take action and deregister the offensive sites. Elers says the internet is as an amazing tool within a global society. However, it is also being used for bullying and harassment where people are more likely to be brash and bold online because they have the ability to say whatever they want anonymously. “Looking at it from another perspective, it actually demonstrates that racist attitudes do exist in New Zealand. The New Zealand Māori Internet Society made a formal complaint about another domain name earlier this year. "We are writing a letter to the owner's employer and sponsors expressing our disgust with a follow up to the Domain Name Commissioner who has neglected to address our original complaint," Māori and Pacific issues online advocate Karaitiana Tairua told Pacific Media Watch. Khing Chadwick is a Graduate Diploma in Pacific Journalism student journalist at AUT University. Submitted by Joe on Mon, 24/06/2013 - 8:24pm.